Wantoo is a robot with big dreams. He is bored of spraying cars in the Speedy Wheels factory. Can he turn himself into a cool superhero – with his very own special superpower? A bold, bright phonics reader which tells a gripping story in exciting, punchy words. It comes with puzzles to test comprehension, a reward chart and stickers. 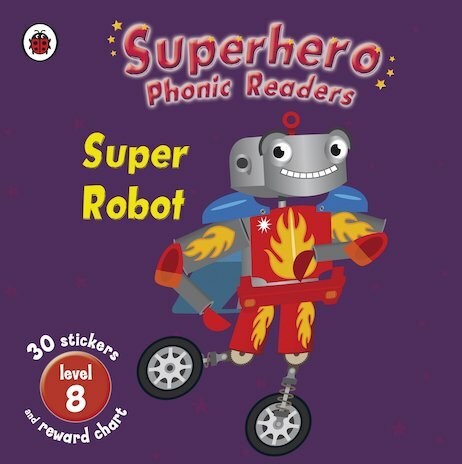 Are you a Superhero Phonics reader? Download this special certificate.